11th Birthday Celebration – Day 1!!! "Hello SCT friends, can you believe that SCT is going to be 11 this year! Congratulations to Catherine and the SCT family for continually inspiring our paper crafting world. I feel truly blessed and lucky to be part of this amazing team and I hope that there are many more years to celebrate. I thought it would be fun to create a 3d project for the birthday celebration. Here I've made some block numbers which would look great as on a table or shelf for a festive centrepiece. These block numbers are from Silhouette America, they are easy to assemble and I have a few tips to share. If you plan to resize your numbers to the maximum largest size, just remember that you have to make sure the longest piece fits on your 12×12 cutting mat, i.e. you are resizing the longest piece not necessarily the number itself. After you cut out the pieces, I would suggest a dry-run assembly, so fold up all the flaps, twist and turn the sides so that you know how it?s put together. I also like to re-inforce the inside with some extra card stock, just cut some lengths that fit in the boundaries of the side flaps and score lines. This additional card stock on the inside makes the numbers extra sturdy. One last tip, assemble the frontside of the number first, this way the back is still open and you can really press the edges together for a nice fit. And voila! Your 3d numbers are assembled and ready to go! Thank you Virginia for kicking of our celebration! 11 amazing years and speaking of amazing, we're thrilled to partner with these amazing companies who have offered our Day 1 giveaways. Thank you Scrapbook.com, American Crafts and Doodlebug Design! We hope you'll join them over on their Facebook pages today and tell them we sent you! We're so excited to celebrate SCT's 11th birthday! We're thrilled to congratulate them on this milestone and to recognize all they've contributed to the industry. We're also excited for all the readers of this wonderful publication. Thanks for supporting American Crafts and Scrapbook & Cards Today. Best of luck! Doodlebug is proud to partner with Scrapbook & Cards Today Magazine! They are a true inspiration to the industry and are also very dear friends! We are not surprised that they are celebrating their 11th year in business and are sure that they will be around for many more! We would like to wish them a very Happy Birthday and also thank you all for your continued support as well! For an opportunity to win these prizes please leave a comment below by March 31st! Winners will be randomly selected for each day and announced on April 3rd. We hope you'll join us tomorrow for Day TWO!!! A very Happy 11th birthday to you SCT and wishing you many more!! So very looking forward to the 11 days of inspiration . Thank you sponsors for making birthdays extra sweet . Wow! Wow! What a way to kick off a celebration! Too much yummt goodness at once! Congrats SCT! Congratulations on 11 years, SCT! I’m glad you’re here and continue to inspire us all with great projects and ideas. Congrats! Love the way you party! Congrats on 11 years, SCT!! Thanks for all the papercrafting inspiration!! Congrats and Happy 11th Birthday! Happy Birthday SCT! Let’s party! Love the nesting dies, from scrapbook.com and American crafts and doodle bug have always lived in my scrap room and albums. It’s like we just celebrated #10. Happy 11th and many more. You are a source of great inspiration. Happy happy birthday! And many more!!!!!!!!! Congratulations on 11 amazing years! Happy Birthday! And thank you for spreading the cheer to us, your fans. Thank you for all the beautiful inspiration every day. Congratulations on 11 years of wonderful projects. How nice of you to give gifts on your Happy Birthday. Congratulations on 11 wonderful years of sharing…love your magazine and all the ideas you share on this blog. Happy Birthday SCT. Thank you for 11 wonderful years of paper crafts. Here’s to many more. Happy 11th birthday! You guys really know how to celebrate. Congrats on your 11th birthday! You guys are a great source of inspiration! Fabulous way to kick things off! I love all these companies! Thanks! Happy Birthday! Wishing you many more! Thank you for 11 years of inspiration and information! THank you for sharing knowledge about companies and how tos and so much more! I left them some love! Congrats on 11 years. I love the standup numerals. Wonder if I can do that on the Cricut. Happy 11th Birthday SCT!!!!! What an amazing project to kick off your birthday celebration! I can’t wait to try it! Thank you for all your inspiration and giveaways!! They are just so much fun!! Huge Congratulations to you and your entire team at Scrapbook and Cards Today. You have some of the most generous companies sponsoring your great giveaway celebrations! I love the 3D numbers that Virginia created for birthday décor! Great idea..also such a great collection of dies, and Doodle always promises something fresh and exciting! Hurray on turning 11 years old! What a way to start off the party. Some cool prizes here! Congrats on 11 years 🙂 gorgeous goodies! Thanks for the opportunity. Wow, fantastic 1st day of birthday celebrations!!! Happy 11th SCT ??? Happy 11th Bithday! Always look forward to your special milestones! You and your partners always provide inspiration! So many great sponsors and the inspiration is wonderful. Happy 11th! absolutely stunning project, love the pink colour! Thank you to all the generous sponsors, crossing my fingers for the lucky chance. Massive congratulations and thank you for the giveaway! Congratulations on your 11th year of scrapbooking and card making. I have truly enjoyed your daily posts and look forward to your projects everyday. However, your generosity is outstanding. Take today’s giveaway. I need every die in these sets. Thank you for coming to me everyday and for your gifts. Happy Birthday and thanks for keeping us inspired all these years. Thanks for the blog event, too. Keep the creative ideas coming! Love the dies and paper collection! Happy 11th Birthday SCT. What a great start to your celebration with some really awesome giveaways. Scrapbook.com, American Crafts and Doodlebug are all great companies and we are grateful for their contributions to today’s giveaways. There are going to be some very happy winners out there. Congratulations on 11 years!! Here is to 11 years more!! You’re officially a preteen and what an awesome way to celebrate. Thanks for a chance to win these goodies. Wow! Amazing 11 3D sign! Love the embellishments on it. Perfect for celebrating the amazing 11 years anniversary! Thanks for the the fabulous giveaway and chance to win! Happy Birthday, love the way you party!! Happy 11th!!!! I am going to have to remember those numbers come birthday time in our house. Happy 11th Birthday SCT! Many thanks to American Crafts, Scrapbook & Cards Today, and Doodlebug Design for the chance to win these great prizes!! Happy 11th. Cute party decor and fabulous prizes. Congrats on 11 years! What a great way to kick off the celebration! Way to go on 11 years. Congrats on 11 years! I just met Catherine and her team/family in Toronto and they are the kindest people. So happy to support such hard working and dedicated individuals! I’m ready to party and toot the horn for your great celebration! Yay! No one knows how to throw a part like SCT! Happy Birthday! ? Wow, what a giveaway for Day 1!! Congratulations on 11 great years! I’m so glad you are still around when some of my other favourites have gone. I just started making cards in the fall and I see others using all the fabulous shapes. What a windfall that would be! The American Crafts and Doodlebug I am very familiar with from scrapbooking. Love their cheery colours! How can you be 11 years old already? It seems like yesterday that you were just getting started. It’s been an amazing trip and while I haven’t been here since the beginning after I found you there has been lot of amazing inspiration. Here’s to the last 11 and many more to come! 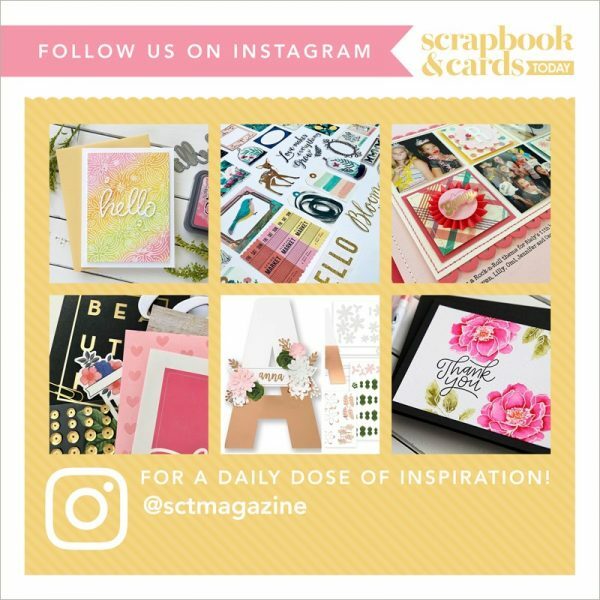 Thank you Scrapbook.com, American Crafts and Doodlebug for kicking off the 11th Birthday Celebration for SCT! And special thanks to Virginia for creating the beautiful block letters! Great inspiration! Wow!! Happy 11th birthday!!! What a fabulous way to kick off the celebration! Thanks to Umbrella Crafts, American Crafts, and Doodlebug!! Fantastic prizes. Love the dies. will be fun to use on the cards too. What a great kick off-congratulations on 11 years! Happy Birthday, SCT! What a fabulous way to celebrate 11 good years of sharing ideas & tips. Happy Birthday, SCT! I always look forward to the wonderful articles and inspiration your magazine offers. You never disappoint! May you have many, many more years of happy celebrations. Happy Birthday to my favorite paper crafting magazine and blog! Anazing Day 1 start to quite the celebration! Congratulations SCT! !Love Virginia’s project! Congratulations and Happy Birthday! Great prizes for Day 1! What a fun project to start off the festivities! Happy Happy Birthday SCT! 11 years and I think I have every issue. You are aging very well – each magazine keeps getting better and better. Would love to win these amazing prizes. Happy 11th. Happy Birthday to my favourite creative team at Scrapbook and Cards! Would love to win any of the great prizes. Keep up the great work! How awesome – 11 years! Fantastic giveaways. Thanks so much!! Happy Birthday! awesome prizes today! Happy 11th SCT! What generous prizes. Gonna be quite a party!! happy 11th BD. Thanks for all your inspiring ideas and great tips. Not to mention the chance to win fab prizes. Love, love, love the nesting die set. Happy Birthday SCT! Congrats on 11 amazing years. Thanks for the opportunity to win such awesome prizes too. Congratulation!!! Thanks for the goodies! Congratulations! And thank you for sharing 11 years of amazing projects and ideas! Thanks to Virginia for sharing her lovely project. Here's to many more years of crafty goodness! 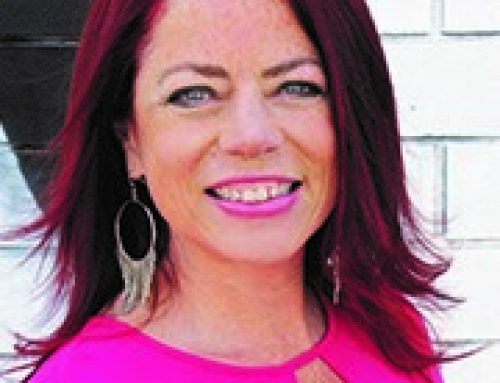 Congrats to Catherine and the gang, wow 11 years of fantastic ideas support inspiration and giveaways. Thank you all you have helped me out of many creative slumps with your ideas. Keep it coming. Thanks to all your sponsors to for their generosity and the chance to win some amazing stuff. Wow congrats 11 years that’s awesome.. Awesome day 1 prizes. Thanks for the chance to win! I just recently bought a die cutting machine and this prize would be perfect. Congratulations! What a great party! Congrats on 11 years! Fabulous projects by fabulous sponsors too. Happy birthday SCT! I so enjoy getting your magazine in the mail each quarter. Thanks so much for the fun giveaways! Happy Birthday. I cannot believe we have been here for 11 years. The magazine has been a great inspiration. Thanks to you and to the wonderful sponsors. 11 years! Congrats! Thanks for the giveaway!! Happy 11th Birthday. Thanks for the chance to win such amazing prizes. Wow love today’s project, perfect for the kickoff celebration! Congrats on 11 years!! You always know how to throw a great party. Missing you tonight in Moncton, so wish I could have been there this weekend. Enjoy the celebrations with all your Maritime friends tonight! Love those dies and would love to win this bundle! So excited to be celebrating your 11 years of creativity–with some amazing prizes! Congratulations on your 11 Years!!! Awesome!!! This is a fabulous start to all your celebration festivities. Look who is turning 11! Woohoo! Congratulations on your wonderful success, SCT! And thanks for sharing the celebration with us! Congratulations. What a way to start a celebration. Every time you have a celebration the prizes are phenomenal. Thank you everyone. Big Congrads on 11 yrs with many more to come. Thank you for all the great inspiration to all followers! Happy Birthday! Congratulations on 11 years! Happy birthday. Great goodies. I visited each on Facebook. Thanks for the opportunity to win. Congrats on 11 years! Would be fantastic to win!!! I’ve been with you since Day One and have enjoyed every minute of it! Great inspiration, awesome Blog and paper publication and FB posts. Congrats to Catherine and the Team – well done! Yay!!! Happy11 years!!! These are some amazing prizes for day 1! HB , you guys really know how to throw a party! Congratulations and Happy Birthday SCT!! Great way to kick things off! Congratulations on 11 Awesome year’s..Beautiful giveaway start, I am very Excited to see whats in store for the other GIVEAWAYS.. Happy 11th Birthday!!! I love the 3D numbers for your celebration! So cute ? Thanks for the opportunity to win such an amazing prize. Congratulations on 11 amazing years. I hope you have many more. Crop and Create is always a fabulous weekend and Toronto this year at the new venue didn’t disappointt. I learn so much from you. I’m thrilled that you’re still going strong!!! You have been providing ideas, fun, great contests and challenges for 11 years. You are loved by so many. I wish you many more years of success. Congrats! Thanks for sharing the celebration. Happy 11th birthday. These prizes are so useful. Great for anyone. Congrats and Happy 11 th birthday! Wow! What a fabulous way to kick off the celebrations! Congrats SCT on 11 years! We love everything you do for your readers! ? Happy 11th birthday woot woot! Awesome prizes! I want to buy a Cuttlebug in the near future so this would be amaaazing ? Congrats to SCT. I love your magazine. Thank you to all the sponsors for their amazing products too. My oh MY!!!! SCT really knows how to celebrate. What a great way to kick off your 11th Birthday Celebration with that awesome giveway from your great partners. Love the die sets and those gorgeous and fun papers just take the cake. Here’s wishing you many more birthday celebrations. Congratulations on 11 years. We get the gifts, AWESOME! Thanks for the chance to win. Happy 11th Birthday. Great items you have for your giveaway. What a way to start your 11th Birthday celebration! Three great companies offering amazing prizes! Congratulations on 11 years of inspiration! Happy Birthday Thank you for years and years of wonderful products and ideas?? the party! Happy 11 years. Wishing you a Happy Birthday! Thank you for the chance to win such amazing prizes! Those 3D numbers are gorgeous! Congratulations on 11 years! Congratulations on 11 successful years…and many more to come! Congrats on celebrating 11 years! And thanks so much for including us ? 11 years, way to go. Congrats and thanks for all the amazing giveaways and inspiration. Happy 11 years! Love your mag! Wow! Such great giveaways from such great companies! Happy 11th Birthday! Love these 3D numbers. So cool! Speaking of cool…how stinkin’ cool is your give-a-way! Congratulations and happy birthday! Thanks for the inspiration! Happy birthday and thanks for spreading the joy!!! Happy 11th Birthday. Thank you for giving the readers gifts.What a great giveaway. Happy birthday and enjoy your celebration. You deserve it. Whoo hoo. Congrats and wish you a nother 11 years if success. Congrats on 11 years! Amazing prizes today and I love those block numbers! Congrats,11 is a great number!. 11 yrs is a long time in the crafting industry. So happy you’re still going strong. Great prizes of dies!!! Congratulations on the 11th birthday! I have been reading the magazine for many years and always enjoy it. Happy Birthday to a great magazine and team behind it. So much inspiration and fun for this great hobby! Congratulations SCT on turning 11. Being new to manual die cutting this prize would continue to spark my creativity. Thank you for such great prizes. Wow, wow, wow! Congrats on 11 years! Congrats on 11 amazing years! Looking forward to many more amazing magazines, Crop & Create events and kits! Thank you for inviting us to your party and we GET the prizes. Totally awesome and everyone wants a party like that. Congratulations on 11 years and many more to come. You guys are great and so are your sponsors. Thank you for this great chance to win. Congrats on 11 years-longer than some marriages! Continued success! Congratulations on your 11th birthday! Looking forward to the 11 days of celebration, thanks! 11 AMAZING years of so much fun and inspiration…….here’s to many more!!! and the nesting dies are the backbone of any die collection! I swoon over this collection!! Again Happy Birthday..I hope the next 11 is even better! Congratulations on your 11years! Wow! What fun this week will be! What wonderful generous prizes that are already rolling out! Thanks for the chance to win! Happy birthday! Birthday’s are fun and those numbers are great! Thanks for a chance to win! Omg! You guys know how to throw a birthday celebration! Congratulations and Happy Birthday!!!!!! Congratulations on 11 Wonderful years! What a celebration! Thanks for having me! Congratulations on 11 years. I have issues at home as far back as Winter 2007! I am looking forward to the new issue of Card Maps too! Wow!! Celebrating 11 year already, Congratulations and many more year ahead. Scrapbook & Cards Today is going to celebrate in style! Thank you Catherine and all who are involved…..prizes look awesome. Appreciate the opportunity to win…..
Wow I’d be extastic to get either prize! Thanks for the opportunity to win. Happy 11th birthday and thanks for the chance to win some great prizes. Well done on your 11th Birthday-so great to have a magazine so easily available and with LOADS of ides! Scrapbook & Cards is an amazing business filled with wonderful people! Happy 11th Birthday! Can’t wait to see what the next 11 years has in store! Happy Eleventh Birthday to you all at SCT! Your hard, dedicated work is very much appreciated by creators world wide. Thank you to the day one sponsors for your generous donations? I love card making, and found SCT a few months ago! Although my first purchase of Vagabond machine is not working out as well as I hoped, I think SCT is fabulous. So many wonderful products! Congrats on 11 years! Party on! Congratulations on 11 wonderful years!!! Thanks for the fantastic prizes as well!? Thanks for the tips on cutting the numbers…I need to make a 4 and a 2 for my grandsons this summer. Happy Birthday! Wow, it’s been 11 years. Awesome prizes. Happy Birthday! Hope you have many more to come!!!! Thanks for a chance to win a wonderful prize! Some awesome goodies to celebrate too! Congratulations on 11 years! Always something creative to use in my cards. Congratulations on 11 years, and here’s to many more! Congratulations on 11 years! Awesome ideas and great prizes!! Great prizes. Congrats to Catherine and your team. Wow!! Congrats on 11 years, the endless amounts of love and inspiration you have brought to the industry and to your readers!! Wow, so many lives touched through this amazing book!! Congratulations and thank you so much for bringing us along for the journey!! Thank you for your kindness and generosity too!! Happy Happy 11th Anniversary!! Congratulations on Eleven fabulous years. Great inspiration and giveaways!!! It’s been a grand 11 years and here’s to many, many more wonderful years of inspiration and ideas! Happy birthday! Thank you! Congratulations and thanks for all the goodies!! Hello I am excited for yall! So glad you made it to #11 may you celebrate many more! Thanks for sharing your creativity and your generosity! Congrats on 11 years. Here’s to another 11! Wow!! Amazing prizes. Thank you very much for the opportunity. Congrats for 11 years! Love nesting dies!! Thanks for the chance! Happy Birthday, SCT! thanks for all the inspiration! I’ve seen a lot of scrapbook stores come and go in the last 11 years… The best things in life don’t go away… STC has been a tried and true source of inspiration that just keeps getting better! So thankful for Katherine and the team! Happy Birthday SCT. Thanks for all the industry news and crafting inspiration you provide every day. 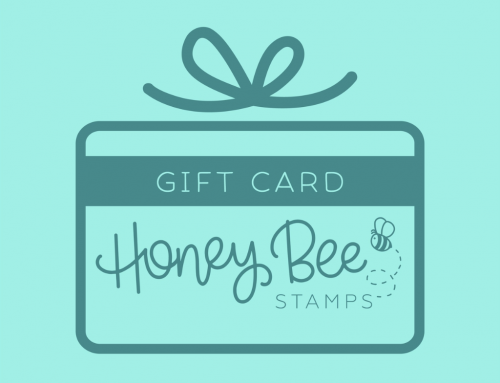 This giveaway is beyond fabulous! Congratulations Catherine and the team! I just love all things SCT! Congratulations on 11 wonderful years! Today’s party loot bag is filled with to die for goodies! Thanks for the chance to walk away with an awesome party favor! So glad to have found you guys. Love all the great goodies. Looking forward to the next 11 years. Happy 11 years!!! Thanks for all the inspiration over the years! What an amazing prize for the first day! Congratulations to YOU. Such an amazing magazine created by a fabulous CANADIAN team. You should be very proud. Happy Birthday SCT! What a way to kick off the celebration! Happy Birthday!! Thanks for sharing the presents. 11 years and still going strong!!Congrats. Happy happy birthday SCT and thanks for the chance to win some wonderful craft goodies. Love the dies and number centerpiece! Love love loving the Doodlebug designs goodies and those cute party decorations! Happy 11th birthday and thanks for the giveaways! Happy 11th anniversary Scrapbook and Cards Today! Yay, eleven years!!!! Happy, Happy Birthday… Awesome goodies… Thank you.. Happy 11th birthday ? thanks for a chance to win awesome prizes ? Fabulous prizes to kick off Day 1 of your big celebration! Big congrats to you on 11 years! Wow! what a great give away. Thanks. Wow! You guys really know how to get the party started! I love to order from Scrapbook.com. They have all the supplies I’m looking for and they deliver fast. And guess what? They carry all the fun goodies by American Crafts and Doodlebug Designs. Looking forward to this celebration. Wow! What a fantastic way to turn 11! Love Virginia’s fun party décor!! Nice. What a wonderful first day prize. I can’t wait to see the other days. Thanks for the chance to win. Happy 11th! Thank you for continuing to inspire!! Also thanks for the opportunity to win such fab prizes! I have always wanted to make block numbers and now I am going to give it a try! And great giveaways to start off the celebrating! Happy birthday SCT! Thanks for sharing so much creative insight with us over the years. You help inspire me to create. thanks for sharing! Happy 11th birthday, SCT! I’ve loved every issue since I found you several years ago … thanks so much for the non-stop inspiration that I have come to count on and look forward to! Thanks so much to the sponsors of today’s excellent prize package! Happy Birthday! Thanks for a chance at the wonderful prizes! Congrats. What a fantastic set of dies. Out of reach on a senior’s budget though. Happy 11th birthday! SCT. Thank you for all your inspirations through the years and looking forward to many more. Wonderful way to kick off your celebration. The prizes are amazing. Congratulations on 11 years. Thanks for the chance to win. Thank you SCT for always inspiring me and keeping me up on the latest trends and products. Happy 11th to you and here’s to many more creative years. I love those dies…wow! Wow Happy 11th Birthday love your web site and all of the creative ideals each season. Can’t wail for your seasonal kit just love them. Congratulations on your 11th anniversary! Love looking and getting great ideas every month. What a fabulous and fun giveaway! Happy Birthday SCT!!! I love nesting dies! They are a “have to have”. tool for every cardmaker. Thanks for the opportunity to win! Happy Birthday – would love to win prizes so i can celebrate here at home. It is hard too believe it has been 11 years!! Loverly prizes. Happy 11th birthday! I love SCT! Happy 11th Birthday!!!! Love your publication. Thanks for the chance to win!! Happy 11th Birthday!!! Love these projects! Thanks for this amazing chance to win!!! Three great sponsors and amazing prizes. Thank you for the inspiration and the chance to win these goodies. Happy, Happy 11th Birthday! AWESOME! Great prizes! Congrats on 11 years. Hoping for many more! I love the ombre look.. So much happiness in that 3-D demo and in those gorgeous prizes! Happy birthday and congrats on 11 years! Thank you for the chance to win some great prizes!! Thanks for the chance of winning these yummy goodies! It’s your birthday! Yay!! !you sure are amazing people! Love ya! 11 years of fabulous projects and info. And of course, partnerships with the most amazing companies. Thanks for the chance to win and congrats on 11 years! Happy 11th year SCT!! These are such amazing prizes! Thanks to all of the sponsors for being so generous. Happy Birthday SCT! Congrats on celebrating 11 years! Thanks for sharing. Happy Birthday! 11 great years so far! Happy Birthday!!! I sure would love to win some of these amazing prizes. Love Scrapbook and cards today! Happy Birthday!!!! Have your cake and eat it, too!!! Happy 11th Birthday!! Those dies are one area that I do not have a supply of. Congrats SCT on 11 years of awesome! I love this 3D number as a focal point for the birthday cupcake table or as a decorative piece! Thanks for sharing it! Happy Birthday! Love those dies and papers. Thank you for the chanced to win some. Wow -happy 11th year!!! Here’s to many, many more! Happy happy birthday, SCT!! Love y’all!!! Happy birthday and congrats! Love the idea of being able to make numbers like that. Great giveaways too – how lovely to celebrate that way. What cute prizes!!! Thanks for this opportunity and thanks for giving us your magazine!!!! Nothing like the smell of paper….. Such a fun day to kick things off! Thanks for the chance to win! Congrats on your 11th birthday! Thanks for sharing all the magic with us. Happy, happy birthday! What a way to get things started. Thanks for another great giveaway. Thanks for showcasing such fresh colorful collections by leading manufactures…. Yes spring is on the way…. Happy 11th Birthday – great ideas always! I love three dimensional projects. Gotta try it! Happy Birthday celebration SCT. Love your magazine and these sponsors steal my creative heart. My right year old has declared unicorns as her spirit animal so that Ddodlebug collection is going to show up in an Easter basket. Lovely prizes and a great chance to win – thank you! Happy 11th birthday SCT! Wishing you many more! Thanks for all the papercrafting inspiration. Happy 11th Birthday SCT !!! Amazing project Virginia and beautiful prize pack !!! Happy 11th birthday! What a great birthday giveaway! Happy Happy Birthday!! Great way to kick off the celebrations ? Thankyou for a chance to win! Congratulations! Thank you for all the inspiration you have shared with the crafting world. I was just thinking I would like to buy more dies so this would be such a blessing to win! Thank you for the chance and for all the beautiful inspiration…Happy 11th! Happy Birthday SCT! What a way to start the party. Congratulations! What a great way to start off the party! Happy 11th Birthday! I love your magazine and how happy it makes me and my mailbox! simply adorable idea! And what a group of treasures to have a chance at, thanks everyone. What a great way to kick off your 11th birthday celebrations SCT!! And i just love the doodlebug line of products, what great prizes!! Happy Birthday!!! Such exciting products! Happy 11th birthday. You are doing a great job inspiring us all. Keep uo the good work! Happy Happy Birthday! Your magazine and blog and kits and events are presents to crafters worldwide! Congratulations SCT, love the magazine, classes, and kits. Thanks for an opportunity to win. Happy Birthday SCT and congratulations on 11 years. that’s great! thank you for the tips! Congrats you on 11 years. Love the blog and magazine. Also enjoy all the tips and ideas shared. This is truly an amazing magazine with an amazing group of ladies. Happy 11th Birthday! I LOVE Doodlebug Products!!! Thanks for giving us the presents on your birthday celebration! Happy birthday! And wow, such great gifts! Happy 11th birthday! Thanks for the opportunity to win these cool prizes. Congratulations on 11 years of giving us a wonderful selection of designs and ideas to use. I have been saving your magazine since the beginning and have every issue on my shelf and love to go back through them for ideas. Todays idea is just another one to add to my collection as it will surely come in handy for our next celebration. Wow! What a way to start off the celebration! Happy 11th! Loving this post! Happy birthday! Happy Birthday! Thanks to the sponsors. Great goodies! Oh wow! What an awesome giveaway. Happy 11th and congratulations!! I love getting my paper magazine and always look forward to it. Wow, first of all congrats on 11 years of great tips and ideas. And, bonus a chance to win some great goodies. I have recently discovered Scrapbook and Cards. I wish I’d known about you for the last 11 years. I’m ready to enjoy the next 11 learning all kinds of great paper craft ideas. HAppy Birthday. Happy 11th Birthday! I cannot believe how fast time flies! What an awesome way to kick of the first day with my favourite company since it also launched Doodlebug Design! Great tutorial, love the project as it is amazing. Let’s Celebrate!!! Happy 11th Birthday SCT!!! Can’t wait to see what you have in store for your 12th year. Happy 11th Birthday! Ah…the tween years! Happy 11th Birthday!! You have done a fantastic job! Nicely done Virginia! An incredible package of dies to be won too. I’ve started my collection, but as with all things, it takes time. This set would be a terrific addition. Thanks, and Happy 11th Birthday SCT. Happy Birthday!!! Such wonderful inspiration and prizes!!! Wow!!! Such a fun project!! 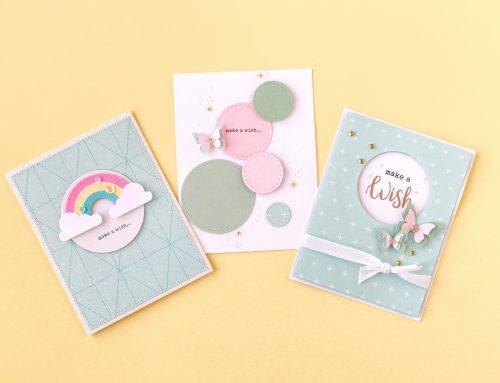 Congratulations on 11 years of scrapbooking and cardmaking magic! I have each and every one of your magazines and can hardly wait for each issue to arrive, What a wonderful way to kick off your celebration and I am very sure there will be so many delightful prizes to win! THank you for all you do for the papercradting art and looking forward to many more years of inspiration. Thank you also to your wonderful sponsors and I would just love that set of nesting dies!! . Happy birthday SCT!! It is always awesome to celebrate with you and your wonderful sponsors! Great prize! Love this. It would be wonderful to win! Let the party celebration begin! Happy 11th Birthday and to many more!!! Happy 11th Birthday SCT! Here’s to many, many more! amazing prizes, I have my fingers crossed! Congratulations! 11 years …. an awesome milestone! Well done! Those numbers are so cute! Congratulations SCT! I’m so glad we have you! 11 years is an amazing accomplishment. Congratulations on this milestone and thanks for offering these awesome giveaways. Happy 11th Birthday! Great project! Happy 11th! Love those dies! Very cool prizes. Love the magazine! Awesome way to start the celebration! Doodlebugs has been one of my favorites for years. Thanks. Congratulations on 11 years! Thank you for always throwing the best parties. How wonderful to have a Birthday party and include all of us fans. The sponsors are always so generous and who doesn’t need dies or pretty things in their scrapbook stash to use. Thank you to everyone involved in inspiring us to celebrate with you. Love the links you provide so we can get to the sponsors to browse. Congrats on 11 years! Thank you for the chance to win some great prizes! Rainbows and unicorns! What a great way to celebrate 11 years!!! HAPPY BIrtHDAY! What a wonderful way to celebrate. A big THANK YOU to all the generous companies this week. Congratulations on 11 years. Can’t wait to party. Wow! What a way to start a party! Wonderful ideas and prizes! Happy birthday! Congrats on being 11! Great magazine! What a clever idea for a birthday or any milestone celebration for that matter. Congratulations on 11 years SCT! You are the best and so are your sponsors. Love SCT! What a great way to celebrate! Congratulations on 11 years SCT! How ingenious and creative! Great job kicking off the celebration! Happy Birthday! Thanks for the contest! Happy birthday! You don’t look a day over 10! Wait, that sounds crazy!!! Love you all so much! Looks like fun! Love the nesting dies! This is a great prize pack. I could have so much fun with it. I am already getting ideas. Thanks for the chance to win it. Happy Birthday with many more!! Happy 11th Birthday SCT! Thank you for all your inspirations! 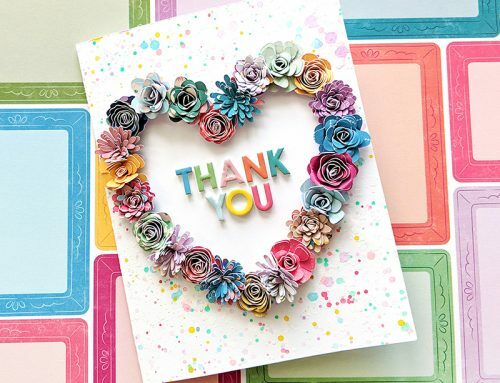 Thank you to Scrapbook.com, American Crafts and Doodlebug Design for the amazing giveaways and the chance to Win!! The decorated numbers are such a good idea for a party! Love it! Doodlebug stuff is always so colorful and joyful. Those paper clips are adorable! What a fantastic way to celebrate MY Birthday. (I know, its all about me,LOL) My favorite people are from Scrapbook and Cards Today! Congratulations! Happy 11 th birthday SCT! Fab prizes, tfs!! Happy, Happy Birthday!!! What wonderful prize package! Thank you for the opportunity! Happy bday and congrats on 11 yrs. I love the block numbers. Wo where have the years gone too! Keep up the good work and Happy Birthday! Happy Birthday, big congrats to you all! Happy Birthday. Eleven years have gone by so quickly. Those nesting dies are amazing! Great prizes! Happy Birthday! Happy 11th! Love all the prizes and the eye candy! I’m new to paper crafts. I have about 5 dies. I would love to have more! I have never seen anything like the number you created. Great centerpieces. Let’s get this party started SCT!!! great prizes! Happy 11th Birthday! WOW! What an AMAZING kick-off for your 11th Birthday Celebration!!!! So excited to see all the magnificent projects this week. Coming to this blog for the last 10 years has always been such a treat. You girls just never, ever disappoint!!! Some of the best eye candy and give-a-ways on the www!!! Happy 11th! Wishing you 111 more! These dies are so amazing!! I would absolutely love them!! A week of fun – thank you and happy 11th!! Congratulations to you and your fabulous team at Scrapbook and Cards Today. off. Thanks for the opportunity to win .? Happy 11th Birthday! SCT has such great partners and I’m glad they are giving us goodies for your birthday! Congratulations on 11 years !!! Wow! Such generous prizes, thanks so much for a chance to win and congrats on 11 FAB years! Happy 11th Birthday SCT! Great magazine, great companies on board with the give a ways. Keeping my fingers. Happy 11th birthday. Hope you guys have many more! Happy Anniversary. Love the gold. Happy Birthday & congratulations!!! Eleven years and going strong!! Wishing you many more successful years!! Thank you for the opportunity to win some scrappy goodness. Congratulations on 11 years and all of the inspiration that entails! Very fun projects, ideas, and impression. Can’t handle the cuteness…. must buy…everything! Happy birthday! Happy 11th Birthday! Looking for many more. Oh my goodness! I LOVE the project, and the giveaway goodies are AWESOME!!! Happy 11th birthday, and thanks for the chance to win! Congrats on the 11 years. I love your mag. Thanks for the chance. Happy 11th Birthday SCT! What an awesome way to kick off the celebration with such wonderful prizes! Congrats SCT on 11 amazing years! Love the project…just need a Silhouette now! Happy 11th birthday! Great prizes to kick-off your celebration. Thanks for always having such fun giveaways! What a lovely idea as a party decoration. Happy birthday…well done! Very very cool and awesome project to celebrate this special occasion, happy birthday! I am so thrilled. Nothing makes me happier than to find a great site that offers card crafting and scrapbooking ideas. I read them and watch videos while I am on dialysis so I am always glad to find a good one and this one looks awesome thank you. Congratulations! Thanks for 11 years of inspiration. What a great kick off for the first day of this 11th birthday party!!! Fun fun fun! Congratulations. Happy Birthday ! I would love to win a prize ! Happy birthday!! Looks like you are having an amazing party, thank you for the chance to win ? Happy birthday! And what a wonderful way you are celebrating your birthday with us! Congratulations! Congrats! Great job and thanks for all the inspirations so far! Congratulations on 11 wonderful years! Happiest of Birthdays! What a wonderful achievement to celebrate. I am inspired by Virgina’s 3d papercraft, always like seeing (and trying) new ideas to use up some stash 🙂 and of course your sponsors and prizes rock! Thanks for 11 years of great inspiration to both SCT & Doodlebug. I’m so looking forward to what lies ahead. Happy 11th birthday!! Great prizes!! Amazing giveaways from an amazing magazine! Happy 11th! Congratulations on 11 years. Happy Birthday!!! Congrats on this achievement, SCT! I love your magazine and look forward to many more years of inspiration and events. Doodlebug is my FAVORITE!! Their designs and color schemes are divine and always make cards/layouts so happy looking! We can’t live without nesting dies – so, so versatile! Have a great birthday!! Congratulations! Such fun prizes:) Thanks for the chance to win!! The amount of give aways are amazing!! Love ❤️ the chance to win ? WONDERFUL INSPIRATION and AWESOME prizes! THANK YOU for the top tips and the chance to win! So happy you are celebrating 11 years! Keep it coming! Happy, happy Birthday to my favorite magazine. I look forward to every issue. Best Wishes! Love this idea with the numbers. Cute decoration. Thanks for the giveaway!! Congrats! Wow – what a start to the giveaways. Amazing! Thanks for the Chance! Happy 11th Birthday!! Wow how time flies! I have loved reading your magazine and following your blog with all the cool things inside! Thanks so much for the chance to win! Cheers to many many more bdays!!! Happy 11th Birthday! Congratulations on making it another year. It’s so wonderfully to see all of your fun craft designs and the behind the scenes on how to make them. You have inspired many a craft project in our house. Keep up the great crafting. Happy birthday!! ? 11 looks so good on you!!! ?? Congratulations on your 11 years!!! Happy Birthday! Thanks for all the inspiration ? Happy 11 years! It’s been only about 9 years since I have been into crafting and your inspiration really helps. THANK YOU!!! Great Giveaways. I’d love to win. Thanks for the opportunity. Happy 11 Years…Congratulations! Wow those are great prizes! Happy Birthday! Doodlebug Designs is the perfect company to celebrate with! Happy 11th Birthday! What a way to party!!!! What cute, fun projects to start the celebration! Can’t wait to see tomorrow’s! Happy 11th Birthday! Congratulations on 11 years of paperlicious products via your magazine and blog! These giveaways are partylicious!!! Here’s to many more years of awesomeness! Doodlebug is always Doodlelicious! Thank you for the opportunity to win!!! Happy 11th Birthday! I too am celebrating a birthday next week and this winning this giveaway would be the most amazing birthday present ever. Truly a crafters dream come true! I love the 3D project, the entire display is so gorgeous! Thanks so much for the chance to win! Happy 11 years! Wishing you many more! Happy 11! What fun prizes to celebrate! Congrats! Your stuff is so cute!! Happy Birtthday!!!! Love the inspiration! This is the cutest collection I have ever seen!!! I cannot wait to get my hands on it ? Happy 11 years, thank you for the amazing giveaway! Congratulations on 11 amazing years!! Thank you for a chance to win! Congratulations on 11 years! Thanks for the chance to win! Awesome project too. 11 years…..oh so young! And I am sure there will be many many many more wonderful creative years to come. And what a way to kick off your party. Your sponsors Scrapbook.com, American Crafts and Doodlebug Design are incredible. Oh yes! I have been looking at these nesting dies and the doodlebug designs are so cute! Fun! Happy birthday, and thanks for all the ideas! Oh please, please, please I would so love to have this adorable range. Living in South Africa we can barely find the paper, not even talking about the embellishments. Would mean the wold. Happy Birthday Season! I would love to win the decorative dies! Love your products, and can’t wait for the unicorns and zoo lines to come out! you guys know how to throw a party! LOL Congrats on reaching 11 and many more years to come. Thanks for the chance to win! Congratulations! Would love to play with and cherish these items! Awesome goodies-Thanks for the chance to win!!! I am totally obsessed with those fairy tale designs. 11 years is a long time in this industry. Congrats! I love Doodlebug so much, I really don’t know if anything else would even compare. I love everything they make, my collection of their beautiful papers and embellishments is always growing. I love love love all these unicorns! Thank you Doodlebug for sponsoring this giveaway – hope to see Cynthea back at Crop and Create again soon! Great giveaway!! So happy to party with you all!!! Love Love Doodlebug! So fun project. Happy 11th birthday. Look at those paper clips ? What an absolute awesome giveaway! Happy Birthday Doodlebug!! Doodlebug is my favorite, hard time not buying everything!! Congratulations! Thanks for the opportunity to win these awesome gifts! Congrats on 11 years! Woo-hoo!! Awesome prizes! Thank you! Doodlebug has been my favourite paper crafts for years. Keeps getting better year after year. ?? Love the giant 3d numbers! Great tutorial on making them. Love the prizes too. A great kick off. I was fortunate enough to win the same set of dies during your Christmas give away so I can say from first hand experience whoever wins will be very lucky and happy. Omg!!! What a wonderful way to celebrate 11 wonderful years of awesomeness. I am a very big doodlebug fan. I just love the colors and cute images. You guys are my number one when it comes to cutesy paper. I love everything about doodlebug. Wow!! What a great giveaway! Thank you for the opportunity. Happy birthday!!!! Happy Birthday! Would love to win!! Doodlebug is my favorite. Thanks for this chance. Happy 11th birthday – and what a way to celebrate! Thanks for a great magazine and also for the chance to win. Wohoo! Congrats on this achievement! Happy Birthday SCT, thanks for the opportunity to win some awesome goodies!! Wow!! What a great opportunity! Thanks for the chance to win!!! Love doodlebug. Great way to celebrate turning 11! Awesome Giveaway!!! Happy Birthday!! ☺ Here’s to many more!! Love the 3-D numbers. Very cute!!! Happy Birthday!! SCT parties are always the best. Looking forward to the next 10 days!!!!! Thanks for the chance to win some yummy scrappy goodness!!!! A great start to your birthday celebration! Happy Birthday! I love Doodlebug! Congratulations on your success!! Happy Birthday SCT!!! Awesome Day 1 inspiration Virginia. Thank you Scrapbook.com, American Craft, and Doodle Design for kicking off birthday celebration. Happy birthday! I love the 3D 1’s! What wonderful gifts and giveaway that the various scrapbook and card companies have donated! Happy Birthday! Congratulations and happy birthday!!! Fabulous festivities, love! ??? I am so proud to be part of the SCT family! You bring so much joy to my life in so many ways! Thank you for everything! Congrats for your 11th anniversary! Such awesome projects! And fabulous prizes! Thank you to the sponsors of this celebration and Happy Birthday SCT! I appreciate the chance to win! Wow 11 years so many great prizes! What a fantastic giveaway! Congratulations on 11 years! Happy Birthday! Congrats! Thank you for the awesome giveaways! Congratulations!! Though I’ve only known of the company for a while now, I love all the projects you share with us. Thank you and thanks for the awesome giveaway prize! Great give-away! Congratulations on 11 years of crafting and inspiring! Happy Birthday! Love looking at all the yummy craft supplies and ideas! Very inspiring! Congratulations on 11 fabulous years. How time flies…I really enjoy all of your articles, education and products that you highlight. Thanks for consistently hitting the mark for paper addicts! Super sponsor products…? Congrats on 11 years! So happy to see our favorite craft living on. Here’s hoping I score some of these awesome prizes! I can hardly believe it’s “Birthday 11” for SCT already!! Congratulations & best wishes for many, many more!! Congrats on 11 years of fabulous ideas! Thanks for a chance to win! and happy 11th Anniversary! This collection is so cute!! Happy Birthday! Happy 11th birthday SCT!!! What an awesome way to kick off the celebration! These 3D numbers look AMAZING. I love making paper boxes and these numbers are really an extension of that, haha. Love the idea and I must remember to try it for a future celebration! Thanks as always for the inspiration!! So many wonderful goodies! Thank you for the chance to win some of these! Doodlebug is my middle name!! That sure was a fast 11 years! Happy Birthday – looking forward to many more celebrations with you! Happy 11th SCT! You really do know how to throw a party! Love those dies and there are many there that are on my wish list. Happy 11th birthday!! Thank you for today’s awesome giveaways! Happy 11th!!! Wishing you many more!! WOW!! 11 Years – Congrats! and thank you for the chance to win this great giveaway. Congrats on 11 years! Here’s to a wonderful celebration, thank you for the terrific ideas and your sponsors. Wow, Congrats SCT on 11 years! Love the stand up numbers, you inspired me to give it a try. Thanks for the chance to win these fabulous prizes! Congratulations!I love, love getting my SCT issues in the mail. They give me inspiration for my layouts! Wow!! These companies are amazing! Thanks so much for making such great products and for the chance to win!! Congratulations on making it to 11 years! It says a lot about your magazine to be still going strong. You’re throwing a great party! Thanks to all the great sponsors. Happy 11th! ???????? Amazing projects and prizes! Congrats! The 11 boxes are fab! Thanks for the chance to win. Congratulations on your upcoming birthday! 11 years – wow! and thank you for having such a great celebration. Happy, happy birthday and how awesome that we get all the prizes!! Happy Happy Birthday! Thank you for all the giveaway goodies. I’m sure it will be lots of fun! What a fabulous selection of goodies you are giving for day 1 of your 11th birthday celebration! Nesting dies in basic shapes are a staple, but somehow there are some shapes here I don’t have. Thanks for the chance to win! ???? ?Happy happy birthday !!! My favorite day of the year! Many more exciting ones over the years to come!? Congratulations on 11 years. Thank you for this opportunity! Congrats on your 11th birthday! Eleven years of happy inspiration. LOVE the 3D numbers. Amazing! Happy 11th!! So glad to be celebrating with you! Such a great 11th Birthday Blog Party! Thank you for inviting me ??. Happy Birthday Blog ????? Congratulations on 11 wonderful years! I have followed along for all eleven years and love your magazine, the team, and all the beautiful projects. Looking forward to many more years! Congratulations on 11 years.. How time flies when you are having fun. What great prizes to start with. I love the nesting die cuts. Thank you. Oh my. What an amazing first day. I’m a little late to the party, so jumping right in. Such awesome prizes from the best ever sponsors! Plus, I’m loving Virginia’s standup party display. It totally rocks! Wow, super cute! Thanks for the chance to win! Wow! What an awesome bundle to start off your 11th Birthday Celebrations! Thanks for the chance to win one of your prizez?. Congrats! Oh, how I would love all those dies. I just bought a big kick over the weekend. 🙂 super cute stuff! Happy Birthday! Happy Birthday! All this stuff looks so amazing and very bright. Happy birthday SCT. Thanks for so many years of inspiration. Cheers to many more. Awesome congrats on 11 years! So much fun!! Congrats on 11 crafty years! Congrats on 11 years! Love the 3D numbers ? Happy Birthday! What a wonderful celebration! Celebrate good times come on!!!!!!! Thanks so much! For the opportunity! Congrats on 11 years! I love the Complete Nested Variety Kit from Umbrella Crafts. Congrats and Happy Birthday!!! What a wonderful celebration! Congrats on your 11th Birthday! Cheers to Many more for your amazing Magazine? Happy Birthday! I just read your latest issue cover to cover – What a great magazine! Congratulations on your 11th bday!! I don’t have a big shot or similar but I’ll definitely buy the plus one if I win all those dies. Thanks for the giveaway. Congratulations on 11 years! You were one of the first magazines I picked up when I was little and wanted to get better at card making and scrapbooking. Those numbers are so much fun! Perfect for a birthday celebration. Congrats on 11 years, where would us crafters be without you? Love your magazine and appreciate the free downloads/giveaways!! to win. What complete yummy-ness. And here is to 11 more years!!!!!!!!!!!!!!! Happy 11th ! Good luck on many more year ahead. ?? Happy Birthday, SCT! I can’t believe it’s been 11 years. Thank you so much for the inspiration, tutorials, and fantastic giveaways over the years. Here’s to many more! Nesting items make me smile! Happy Birthday! Can’t wait to see all the new doodlebug lines!! what a delightful way to start off a birthday celebration!! and thank you for including us on the gift list!!! Happiest of birthday celebrations to you! Amazing dies. Happy 11th Birthday!! Here’s to many more. Happy Birthday! Thank you being such a wonderful part of this industry! I would love to have those dies, a lot of my metal dies rusted through when my scrapbook room had a water leak in it. Happy Anniversary, what an accomplishment- 11 years! Great prizes, love SCT, thanks for the chance to win! Congrats. 11 years is awesome. Great ideas! Thank-you for sharing. Congratulations on 11 years! Been following you since the beginning!! Happy 11th birthday SCT! What an amazing accomplishment and wonderful prizes! Congrats! Love the way you party! Thanks for the great giveaways. Happy birthday! What lovely prizes! Such a treat! Congratulations on an amazing 11 years doing this wonderful work for us many scrapbookers. We really enjoy the information and hard work that goes into all of the preparation and planning for the magazines, the crops and the blogs too. Have an great time with the staff and a very happy 11th to you all. Wow…..11 years already….congratulations, STC. Awesome prize! Wow…love the numbers. What a cute idea. What a great plan! Giving gifts for your birthday! Thanks for your years of inspiration and wishing you many more. Love the fun colours from Doodlebug! These block numbers will have so many fun uses at our home! What a terrific prize to practice a terrific anniversary! Happy Birthday! I can’t think of what is more fun than loot bags for the guests at the party. Yahoo! Happy birthday SCT, thanks for the chance to win! Happy Birthday SCT! Congrats on 11 years! Woooo! Happy Birthday SCT! Thank you for a chance to win! I know I am late to the party, have been popping in and out. Just no time to chat until now. Happy 11th Birthday SCT Hope to enjoy many more with you!!! loving the numbers could be because my birthday was the 11th,they are just cute. Happy Happy 11th Birthday SCT! I can’t believe it has been 11 years, I still remember, and still have, my very first issue. Gorgeous and generous prizes here today for Day 1! Virginia always does a lovely job and this is no exception to that. Lovely colours and wow the numbers are amazing. Love the dies they are giving away also. Fun, erengetic layout, Paige! Thanks for sharing! And a special thanks to Doodlebug, Scrapbook.com, and American Crafts for their support of SCT and their generosity! Wow! What a way to start the party!!! Congrats on 11 years! Congrats on 11 great yes…set continues to be my favourite magazine. I wowould love to win this first prize … so many possibilities! Thanks for inviting me to the party! Looks like it’s going to be a lot of fun. Love the projects and craft recommendations! Happy birthday! Congrats and Happy Birthday SCT! Happy Birthday! What a great group of prizes… I would love to win any one of them.. might faint if I won all! Such and amazing prize from an awesome company! Thanks for the opportunity to win! Wonderful goodies…these dies would be a great addition to my collection…thanks for the opportunity! Happy birthday!!!! 11 years! How exciting!! Congratulations on 11 years! Cool prizes! Congratulations on 11 years – it’s time to party with all these giveaways! Oh My!!!!! I am drooling! What a way to start of this amazing celebration!!!! Congrats SCT on over a decade of amazingnes! Thanks for the opportunity! Happy 11th Years Old. I enjoy reading your website, all the blogs and comments. I look forward to knowing and trying the new up to date projects and tools. What a wonderful way to help you celebrate. Thank you for your time and effort. And for sharing. Happy birthday to you happy birthday to you happy birthday dear SCT happy birthday to you!!! Thanks for the opportunity to win!! These are fabulbous prices, thank you for the chance to win! Congratulations on 11 years–way to go! Such wonderful prize packages! Congrats and happy Birthday. Thanks for such an amazing set of prizes. Best wishes to all of you as SCT ! HapPy hAppY BIRTHDAY ! it’s so wonderful to have a company stick around and give us all this great inspiration ! Congratulations on 11 great years! Wonderful projects, and as always, very generous sponsors and terrific giveaways! Congratulations on 11 years at Scrapbook and Cards Today. My sister & I are joining you in Abbotsford in April. Our very first time! We are excited!!!! Thanks for letting us join the celebration! I’ve got to try those boxed numbers! Happy birthday! Happy birthday. Thanks for sharing so many great ideas with us and thank you for the giveaways. Happy Birthday! Love this 11 days of prizes. Great sponsors and prizes. Thanks for a chance to win. Congratulation for 11 years of instructions and useful information on scrapbooking and card making. I look forward to another 14 years and a major birthday of 25 years. Thank you for all of that inspiration. Great set of dies by Umbrella Crafts. Happy Birthday and I wish you many more! Congrats on 11 years SCT! Congrats on 11 years!! What great prizes. I love those nesting dies!! Happy Birthday and thank you for organizing this celebration. I appreciate the showcasing of leading manufacturers within our industry. Way to go! Thank you for the opportunity to win. I haven’t jumped on the digital cutting bandwagon, but i am always amazed by what people can create. I can’t imagine creating block numbers by hand. Congrats on 11 years! Keep up the good work! JUst love S&C and Catherine and her whole gang! They give out the BEST prizes, hold the most awesome crops and do it all with style and flair! Happy 11th Birthday SCT – I love all your offerings. What a fabulous gift. These nesting dies are fab! Scrapbook and Cards is the best. Really enjoyed my time in Calgary with you. You did an awesome job. Congratulations on your milestone! I love all of the great projects and techniques you have shared over the years – and today’s project is just as wonderful! Thanks for the chance to win some very amazing prizes too! Wow love this! Thank you SCT for being amazing. Love these dies! Fingers crossed. Congratulations on 11 years! Thank you for all the giveaways! Congrats! This is exciting news! Love your stuff so much! Happy Birthday – 11 yrs – wow! How time flies by! Love all the day 1 prizes! I am looking forward to the next 11 yrs with you. What a great start to your celebration! It’s been a good year. Enjoy your success! Congratulations on 11 years! What a great way to celebrate! Thanks for all lovely inspiration throughout the years! This is so fun! Thanks!!!! Congrats on your 11th birthday. Thanks for the opportunity to win some goodies. Happy 11th birthday SCT! Great way to kick start the celebrations! Happy Birthday SCT! It’s amazing with all the scrapbooking magazines that have come & gone that SCT is still going strong. It’s a very well published magazine & us fans hope for many more birthdays. Thank you to the companies donating such generous prizes for today’s giveaway. I love this project. Great giveaways too. Thank you for the chance. Oh wow – 11 years! Happy birthday and many many many happy returns! Love that project, it looks phenom, as does that incredible prize package! Talk about celebrating with style! AH! Nesting Dies are fantastic! Love these prizes today! Omg, darling project and prizes. You guys are always the best. Have love you for a long time now. So glad you’ve been around for 11 years…here’s to many more!!! Congratulations! And thank you for such a wonderful quality magazine. The giveaways are incredible—would love to be a winner! Love those big numbers. And the Just Love card. Great ideas for different people in my life. How fun is that! Great goodies and ideas? Happy 11th Birthday and to many more. A perfect start to the birthday celebration. Such a beautiful project to start off with. Cuteness overload! Thanks for the giveaway! Love the 3D numbers! Definitely using these for my daughter’s upcoming 11th birthday. Happy 11th birthday! Thanks for this opportunity! Congratulations on 11 years and here’s to many, many more! This prize is So fun! Thank you so much for the opportunity to win, and good luck to everyone! Happy Eleventh Birthday! I have enjoyed heading to your magazine for ideas, suppliers and just to daydream for the 8 years I have been scrapbooking. Those numbers are a great idea, and I can’t wait to see what else your fantastic designers have come up with to help celebrate! Let’s Party ON! It’s your birthday, but you are giving gifts! How very thoughtful! Happy, happy birthday! Congratulations on your 11th birthday! May you have many more!!! Wow, 11 years! How awesome and giving away prizes is always fun! I love love love nesting dies. I have a few but not near enough! I would like to try the stand up numbers. They look so cool. Maybe convert to use on a Cricut. I love the 3D numbers! Happy 11th Birthday, SCT! Happy 11 years! I’m excited about all the great prizes! Happy 11th B’day! I just bought a die cutting machine so the nested dies would be a wonderful addition. Love Doodlebug Designs. What a clever project! Fantastic 3D numbers, perfect for a celebration! Great giveaway! Happy 11th Birthday! Would love to win any prize!! Happy Birthday! What a fun celebration!! Happy 11th birthday SCT – always beautiful projects and fantastic prizes from the sponsors. love all of the cute stickers in the prize pack. Happy birthday SCT! Congratulations on 11 wonderful years. While I have some very special die cuts, I actually have no basic ones – these would be a wonderful addition to my collection! Happy 11th Birthday SCT! ? Wonderful, congratulations on your 11th anniversary! Raising my glass to many more! Love the 3D numbers! They are perfect for my granddaughters birthday! Happy 11! Happy Birthday SCT, I have been a fan of your Blog for several years now and enjoy all the inspiration you give us. Happy Birthday!!! Thanks for the great ideas and give-a-ways! We love SCT! I love those Umbrella dies – so versatile! Happy birthday! I don’t have a die cutting machine YET it would be so nice to win the basic die set & that would definitely give me incentive to move off dead center and get one. Love Doodlebug’s goodies, too. Love this idea! Happy 11th birthday such an awesome giveaway too! Happy Birthday! Love the 3D numbers. They would be a fun way to send presents to my grandchildren. Thank you for the chance to win! Can you say “jackpot right from day one”? Amazing prize! Happy Birthday SCT! Congratulations SCT! Thanks to the sponsors for the wonderful prizes ? congrats on 11 great years! Happy 11th Birthday SCT! Wonderful prizes from some outstanding companies!! Thank you for the opportunity to win! Congratulation on your 11th year of operation. Here’s to many more!!!! Happy birthday! Love Doodlebug and S & C T blog! Kawaii items are my FAV!!! Congratulations on 11 years!!!! CONGRATULATIONS!!!! WHOO HOO! Thank YOU for including all of us crafters in the fun!!!!! Soooo excited to take part! Love the Doodlebug bday kit! 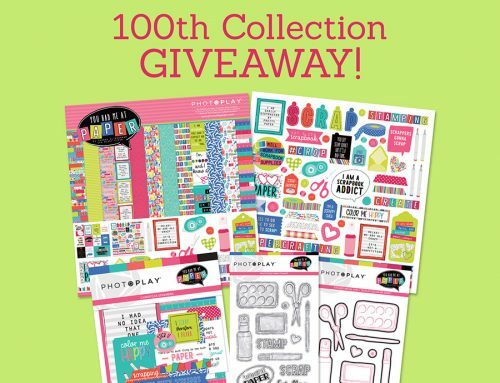 What wonderful prizes to kick off the 11th Birthday of my favorite magazine, planner, blog, store! Thanks again! Hoping to win! I was so excited to find your magazine and love your website. Thank you so much. Happy, Happy Birthday! Wow would love to win this giveaway. Eleven years of good ideas to keep the creativity flowing. I can see many ways to use today’s prize. Thanks for a chance. Love your magazine. So glad to be able to read it. Happy Birthday. Congrats on 11 years!!!!!!!!! What a fabulous project shared today- and a wonderful giveaway prize! THANKS for the chance to win! Happy Day #1 of your 11th Birthday Celebration! Happy 11th Birthday SCT!!!! The prizes are amazing!!!!! Let’s get the party started!!!!! ??????????? Congrats on 11 years!!! Thanks for the opportunity. What cool number boxes and fab prizes, too! Day 1 giveaways… I’m ready to faint! Happy Birthday! Wow, that Doodlebug stuff is just adorable and perfect for a birthday! Happy 11th! Thank you for the chance to win some great items!! Happy 11th Birthday. Looks like there are some amazing cool prizes to be won. I’ve made these on my Silhouette! I love your instructions for maximizing sizes! Happy 11th birthday, thanks for the wonderful inspiration! Happy birthday. Great first prize. These truly are a much needed item! There wonderful and everyone should have these dies in their collection! A fantastic start to your birthday! Thank you for allowing me to enter into this giveaway. Such a beautiful magazine…Happy Birthday. Happy happy birthday!!!!! And thanks for the amazing giveaway!!! I’m fashionably late to the party, but so glad I stopped by!!! amazing giveaways! Happy 11 years!!!! Congratulations on 11 years in the business, this is a huge accomplishment! PS. I love Virginia’s classes, projects, art etc!! Happy 11th. Keep up the excellent ideas and wealth of knowledge of ways to be creative. OMG! These products are gorgeous! Thank you for the opportunity to try my luck at winning!! OHMYGAWD Doodlebug how i love thee! I actually started to silently weep when i saw thoae unicorn clips. For true! I would break out in a spastic happy dance the likes of which are previously unknown to the crafting world. Thank you for bringing this ridiculous cuteness onto my radar. I cannot rest until they are mine. What a great way to start the celebration! Pngratu.ations and Happy Birthday! Happy Birthday! I love this magazine and hope there’s another 11 years of it in our future! SO nice of Scrapbook.com, American Crafts, and Doodlbug Design to join in the anniversary celebration! Great collection of goodies! Thanx for the inspiration and blog candy opp! Wow! I love the decorated 11! I need to do something like that for my daughter in june. Happy birthday!!! Thanks for 11 wonderful years and wishing many more years of creativity. I love the nesting dies I already own, but these ones look cute too. Happy Birthday SCT. I can`t imagine a more wonderful community of people!! Congrats on 11 Fabulous years!! What a great way to start your birthday celebrations. I have never missed an issue! Happy birthday. Happy 11th birthday! Such a great group of ladies (and a few gentleman). Thanks for everything you do. You bring so much joy to so many people around the world! Happy 11 and congrats to you..Awesome giveaways your doing..Wow..Thanks for this fun chance.. Happy 11th Birthday SCT!!! What a fantastic way to begin the celebration…Your sponsors are the best ever! 3-D Numbers are super cool! Love what Virgina created. Love you Doodlebug!!! I want to wish you all at SCT a fantastic and fabulous 11th birthday celebration!! So awesome and cool and fun!! As for the prizes – they rock!! Happy Birthday!!! 11 years is fantastic! I love the 11! Happy birthday! Congrats SCT!!! And thanks to all the generous sponsors! We are lucky to have the chance to win such amazing prizes!!! Wow and wow!! Great projects and prizes!! Thank you for a chance to win. congrats on 11 years, may you have many, many more. Cute project.